We specialize in all parts for Allison Transmissions. Thank you for visiting TKT Sales. We are dedicated to helping our customers with the highest quality parts for their Allison Transmission repairs. 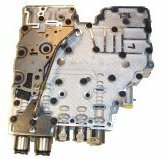 We stock a wide variety of parts for all model transmissions ranging from the 1000 series transmission found in the light duty GM pickup trucks to the 9000 series transmissions found in industrial oil field equipment and large 120 ton off road trucks to marine transmissions found in large fishing vessels and pleasure crafts. Whether you are looking for new Genuine Allison Transmission parts, Remanufactured parts or quality inspected used parts we can help you in finding what you need. If we don't have it we can probably get it from one of our numerous supporting vendors worldwide. We also purchase large quantities of new surplus parts from closing business's, OEM liquidations and transit auctions. These parts are generally brand new Genuine Allison parts that we buy at discounted prices and can pass the savings on to you. Located in Yanceyville, North Carolina we can usually ship your emergency orders the same day via one of a number of carriers. UPS, Fed-Ex, TNT, DHL, First Flight or YRC. If you have a preference to another carrier we will go out of our way to set up accounts and ship with them for your future orders. We ship worldwide. Ted Keating has worked at Allison Transmission Dealers & Distributors from the early 1990s up until June 2007 and is factory trained on most Allison Transmission Models. Ted has extensive knowledge on Allison's electronic controls and can assist you in the diagnosis of your problems, however please note that some basic diagnostic equipment is required. Today's transmissions can not be properly diagnosed over the phone, but with the proper equipment Ted can help you understand your problems and help direct you to some specific areas of concern. Please check out Teds certifications. We welcome all inquiries. Small and large orders, we want your business and will do what ever possible to help you get the right parts. We are always interested in buying your excess Allison inventory or old Allison Transmission cores. Please contact us today with a list of what you have for sale. Copyright © 2008-2019 Ted Keating Transmission Sales. All rights reserved.